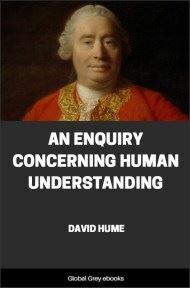 This is the first essay in the 'Four Dissertations'; a collection of four essays by the Scottish enlightenment philosopher David Hume. 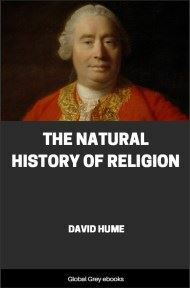 In 'The Natural History of Religion', Hume pioneers a naturalist account of the causes, effects, and historical development of religious belief. 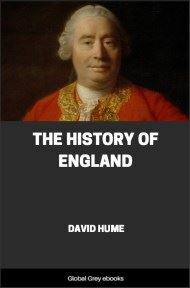 Hume locates the origins of religion in emotion, particularly fear and the desire to control the future. He further argues that monotheism arises from competition between religions, as believers seek to distinguish their deities as superior to all rivals. 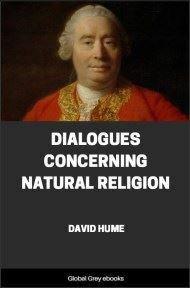 The monotheist drive to dominate other beliefs, and to burnish the primitive, emotional core of religion under a veneer of theology, Hume concludes that this yields intolerance, intellectual dishonesty, and unnatural moral doctrines. It appears to me, that if we consider the improvement of human society, from rude beginnings to a state of greater perfection, polytheism or idolatry was, and necessarily must have been, the first and most ancient religion of mankind. This opinion I shall endeavor to confirm by the following arguments. It is a matter of fact incontestable, that about 1,700 years ago all mankind were polytheists. The doubtful and sceptical principles of a few philosophers, or the theism, and that too not entirely pure, of one or two nations, form no objection worth regarding. Behold then the clear testimony of history. The farther we mount up into antiquity, the more do we find mankind plunged into polytheism. No marks, no symptoms of any more perfect religion. The most ancient records of the human race still present us with that system as the popular and established creed. The north, the south, the east, the west, give their unanimous testimony to the same fact. What can be opposed to so full an evidence? As far as writing or history reaches, mankind, in ancient times, appear universally to have been polytheists. Shall we assert, that in more ancient times, before the knowledge of letters, or the discovery of any art or science, men entertained the principles of pure theism? That is, while they were ignorant and barbarous, they discovered truth; but fell into error, as soon as they acquired learn- and politeness. 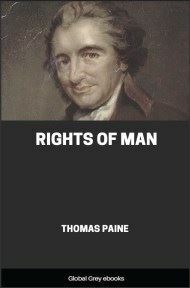 But in this assertion you not only contradict all appearance of probability, but also our present experience concerning the principles and opinions of barbarous nations. The savage tribes of America, Africa, and Asia, are all idolaters. Not a single exception to this rule. Insomuch that, were a traveller to transport himself into any unknown region; if he found inhabitants cultivated with arts and sciences, though even upon that supposition there are odds against their being theists, yet could he not safely, till farther inquiry, pronounce any thing on that head: but if he found them ignorant and barbarous, he might beforehand declare them idolaters; and there scarcely is a possibility of his being mistaken. It seems certain that, according to the natural progress of human thought, the ignorant multitude must first entertain some grovelling and familiar notion of superior powers, before they stretch their conception to that perfect Being who bestowed order on the whole frame of nature. We may as resonably imagine that men inhabited palaces before huts and cottages, or studied geometry before agriculture; as assert that the Deity appeared to them a pure spirit, omniscient, omnipotent, and omnipresent, before he was apprehended to be a powerful, though limited being, with human passions and appetites, limbs and organs. 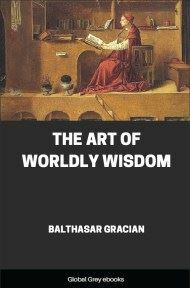 The mind rises gradually, from inferior to superior: by abstracting from what is imperfect, it forms an idea of perfection: and slowly distinguishing the nobler parts of its own frame from the grosser, it learns to transfer only the former, much elevated and refined, to its divinity. Nothing could disturb this natural progress of thought, but some obvious and invincible argument, which might immediately lead the mind into the pure principles of theism, and make it overleap, at one bound, the vast interval which is interposed between the human and the divine nature. But though I allow that the order and frame of the universe, when accurately examined, affords such an argument; yet I can never think that this consideration could have an influence on mankind, when they formed their first rude notions of religion. The causes of such objects as are quite familiar to us, never strike our attention or curiosity; and however extraordinary or surprising these objects in themselves, they are passed over, by the raw and ignorant multitude, without much examination or enquiry. Adam, rising at once in Paradise, and in the full perfection of his faculties, would naturally, as represented by Milton, be astonished at the glorious appearances of nature, the heavens, the air, the earth, his own organs and members; and would be led to ask, whence this wonderful scene arose. But a barbarous, necessitous animal (such as man is on the first origin of society), pressed by such numerous wants and passions, has no leisure to admire the regular face of nature, or make enquiries concerning the cause of objects to which, from his infancy, he has been gradually accustomed. On the contrary, the more regular and uniform, that is, the more perfect nature appears, the more is he familiarised to it, and the less inclined to scrutinise and examine it. A monstrous birth excites his curiosity, and is deemed a prodigy. It alarms him from its novelty; and immediately sets him a-trembling, and sacrificing, and praying. But an animal complete in all its limbs and organs, is to him an ordinary spectacle, and produces no religious opinion or affection. Ask him, whence that animal arose; he will tell you, from the copulation of its parents. And these, whence? From the copulation of theirs. A few removes satisfy his curiosity, and set the objects at such a distance, that he entirely loses sight of them. Imagine not that he will so much as start the question, whence the first animal; much less, whence the whole system or united fabric of the universe arose. Or, if you start such a question to him, expect not that he will employ his mind with any anxiety about a subject so remote, so uninteresting, and which so much exceeds the bounds of his capacity. 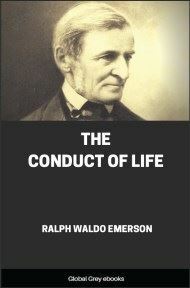 But farther, if men were at first led into the belief of one superior Being, by reasoning from the frame of nature, they could never possibly leave that belief, in order to embrace polytheism; but the same principles of reason which at first produced and diffused over mankind so magnificent an opinion, must be able, with greater facility, to preserve it. The first invention and proof of any doctrine is much more difficult than the supporting and retaining of it.